The guide claims that moving forward two things are required: a significant increase in organizations adopting, sharing, and iterating leading security practices, and cross-sectoral collaboration in order to develop new practices that require dealing with unique attributes of managing cyber risks of physical assets. 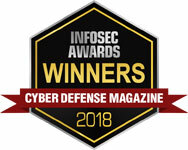 In order to detect potentially significant changes to system files and protect systems from malware, it is essential to not just simply run a comparison of the file system once per day as has traditionally been the approach, but to provide an alert within seconds of a significant file change occurring. The best File Integrity Monitoring technology will also now identify who made the change, detailing the account name and process used to make changes, crucial for forensically investigating security breaches. It is good to know that a potential breach has occurred but even better if you can establish who and how the change was made.